Join us for the The WAVE Pirate Party! Who out there has their sea legs and is aching to get on the water? Yo ho is it a pirate's life for you? 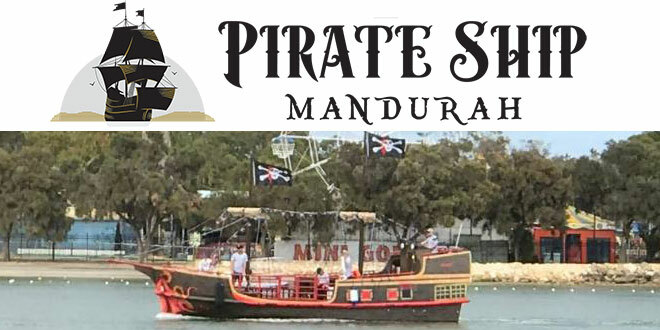 Listen in for the WAVE Pirate’s ‘Arghhhh’ with Gunners and Ali to score a family passage on board the Pirate Ship Mandurah for the event of the season, THE WAVE PIRATE PARTY! The ship is to set sail on the morning of December 21st from 7am, leaving the dock promptly at 7:30am and will return to land by 8:30am. The Pirate Party will be hosted live on air with Gunners and Ali, plus a delicious breakfast aboard for the whole party to enjoy. Thanks to the Pirate Ship Mandurah and 91.7 The WAVE! Competition runs from Monday 10th Dec- Friday 14th December, 2018.